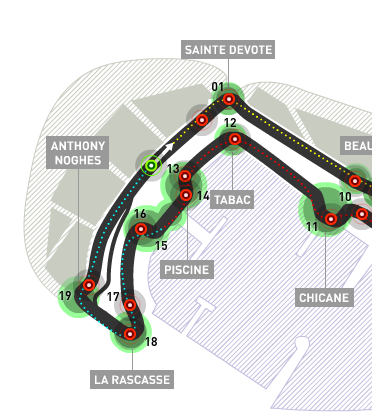 The Monaco Grand Prix is one of those circuits that radiates simply by existing. With every turn and straight thunders through a piece of Formula 1 history. Even if Monaco were to hold no history and were to be seen as your usual street circuit on the coast of the Principality of Monaco, it would consume you. At every race at the Principality, the McLaren gang sprinkle diamonds on their drivers’ helmets, spelling the words Lewis Hamilton.. and whoever his teammate is during that year (Alonso in ’07, Kovalainen in ’08-’09) For 2010, the lucky gentleman is Jenson Button. In 2005, Redbull Racing promoted the Star Wars ‘Revenge of the Sith’ film with car branding and a pit crew made up of star troopers. In 2006 Redbull continued by promoting the new Superman film ‘Superman Returns’ with large red capes attached to the drivers suits. In that same year, McLaren had celebrated their 40th Anniversary, in part, with a life-sized ice sculpture of the McLaren MP4-21. On a more technical note, two corners have been modified by the FIA for this weekend by slight raising of the curbs, in order to prevent drivers from cutting turns 11 and 16 at high speeds. Be sure to keep a close eye out for those two as it is thought that we could see some flight from our favorite drivers. Several parts of the circuit have also been resurfaced including the entire pitlane. Ferrari will be putting aside their newly introduced F-Duct for Monaco this weekend. That is understandable as the F-Ducts are only there to find downforce on high speed straights. Monaco does not have any of those. McLaren might want to follow Ferrari with regards to their F-Duct as well. Until today, there has been no news on whether the FIA will be re-evaluating the tire compounds used by the teams. Several weeks back it was hoped that some sort of change would come as the Monaco Grand Prix grew closer. Hamilton has voiced his concerns regarding the backmarkers, calling this weekend a ‘disaster.’ I agree. If it took only twelve laps for the front runners to lap their first car in Spain (with a lap of approximately 1 minute and 25 seconds), it will take a lot less to catch the backmarkers at a tight and narrow circuit as Monaco (with a lap of approximately 1 minute and 15 seconds). I can guarantee qualifying and the race will have problems arise with the backmarkers – problems and accidents. A driver in Monaco needs to be 100% aware of every thing in front of them, beside them and behind them. Monte Carlo is a completely different track to Catalunya. 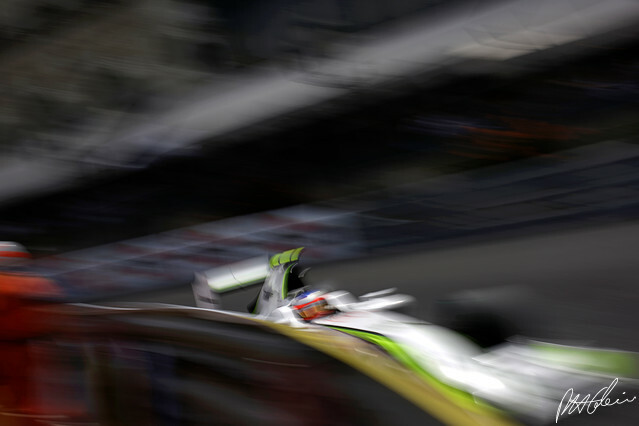 With lower speeds and tigher turns, downforce is key to a teams success. The last time Schumacher was in Monaco (having won here five times before) he parked his car just after La Rascasse (turn 18) during qualifying due to a supposed failure. Skeptics thought otherwise, thinking Schumi pulled the stunt after he realized he couldn’t match the pole position time. Back again in 2010, anything can happen.